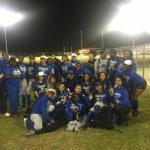 The Wildcat Softball Varsity team defeated Waltrip High School 6-1. Korbynei Barras led the Wildcats offense while Kayla Guerrero led the defense. 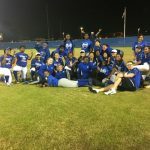 The Junior Varsity team defeated Waltrip Junior Varsity 15- 9. Ladaijiah Long led the team defensively and Selina Njoku led the team offensively. Girls Junior Varsity Softball, Girls Varsity Softball · Jan 9 2017 SOFTBALL TRYOUTS!